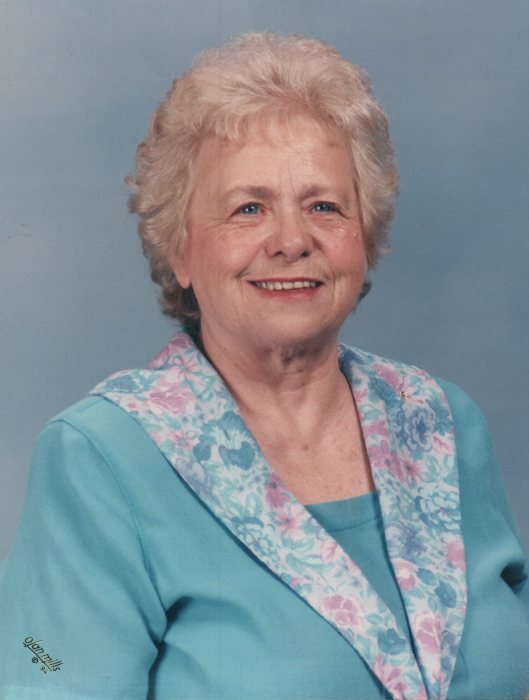 Mary Ann (Smith) Cox went home to meet her Savior on April 7th, 2019. Mary Ann was the fourth generation to be born on the family farm in Plainfield, Indiana, to Paul and Martha Smith. She graduated from Plainfield High School in 1944. She married Bob Cox on November 10th, 1945, and together they owned Golfland Driving Range and Miniature Golf, Plainfield car washes, and Sony Products Distributorship. Mary Ann loved people, reading, crossword puzzles, playing cards and board games. She will be sadly missed, especially her sweet smile. Survivors are her daughter, Judy (Max) Hetrick, grandson, Ross Hetrick and granddaughter, Betsy (Mark) McDonough. She was predeceased by her loving husband, Bob and grandson, Ben. A memorial visitation will be held from 2:00-6:00 pm on Friday, April 12, 2019 in Hall-Baker Funeral Home, Plainfield. Private entombment will be held at a later date in Maple Hill Cemetery Mausoleum. In lieu of flowers, donations may be made to Hope Presbyterian Church 1331 Section St Plainfield, IN 46168 or the Hendricks County Humane Society 3033 E Main St Danville, IN 46122.